So … I’ve bought a new PC. The expiration of support for Microsoft XP was a great excuse for me to upgrade to a new machine with a Windows 8.1 operating system. One of the bonus’ of working for an IT company is that I’m able to use the latest technology on a daily basis. After a while, I found going home to a ‘vintage’ PC was quite trying – especially that agonising 10 minute wait for my personal computer to boot up. So I upgraded. Just like every other consumer, I had to go through the motions of buying that ‘perfect’ PC … of course, it had to have latest tech specs, antivirus software – and other mod cons I needed (or should I say, wanted), but the one thing that had me stumped was which version of Microsoft Office to choose. It seems you can now use Office 365 for personal use, so the question was: Microsoft Office 2013 or 365: to buy or subscribe? I work with techies, and if I’d asked, they could’ve given me an answer straight off the bat (I’m not an IT technician). However, I was determined to research this area myself because I was a little sceptical about the whole subscription idea. My research took me online. The fundamental difference between the two programs: Office 2013 is installed directly on your computer, you pay one cost (ranging from $149.00 inc gst for Home and Student; $249.00 inc gst for Home and Business; or $499.00 inc gst for Professional) and you use the same version for years and years to come. 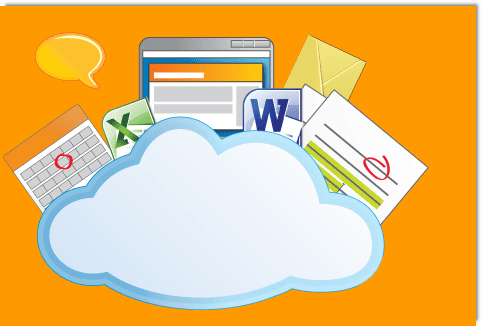 Office 365 is a subscription based program that lives in the ‘cloud’. You don’t own it, you rent it as a yearly subscription (there is even the option of a monthly subscription). There are different versions available – some suitable for home use, some for business use, and there’s even a University subscription as well. But for research (and purchasing) purposes, I’m going to take a look at Office 365 Home Premium. From all the articles I read – Office 365 Home Premium has received positive reviews. You receive everything Office 2013 Professional offers PLUS 20GB extra SkyDrive storage, 60 minutes Skype world calls per month AND automatic updates. So each time there is an update – you receive the latest version automatically for a mere yearly or monthly subscription fee. Sounds fantastic! Furthermore, the more PC’s you have, the more cost-effective Office 365 is. Home Premium offers 5 licences for the price of 1. For example, a yearly subscription fee may cost $100.00 inc gst. If you require Office on 5 PC’s, that equates to $20.00 inc gst per PC on Office 365 Home Premium for a year; compared to installing Office Professional on 5 PC’s which would equate to approximately $2500.00 inc gst for an outright purchase. And its quite versatile as you can uninstall Office 365 from one computer and put it on another without affecting your licences. Once you do the figures, the savings with Office 365 definitely add up! Mmmm … now my mind began to tick with the range of possibilities available. Office on my phone could be very useful. Maybe I could also get a laptop too? Who else do I know that needs Office? I didn’t really want to spend $499.00 inc gst outright, but I like using Publisher which is only included in Office Professional – so the odds were definitely in 365’s favour. I decided to take my research further. It was time to go shopping! I figured that whoever sells it must be knowledgeable about the product. I was somewhat surprised with the range of responses I received from the questions I asked. One salesperson advised me he had purchased Office 365 Home Premium because it could also be used on his iPhone. He even gave me a demonstration. But when I asked him if it worked on Android – my phone of preference – the answer was no. Interesting … I am sure it was capable with both iPhone and Android. At the next store, the salesperson was putting the hard sell on Office 365. I agreed it was cost-effective. I agreed its versatility was amazing. I loved the idea of 60 minutes free Skype and a generous amount of cloud storage. “Can I use it offline?” I knew that you were able to with the business version, but I wasn’t too sure about Home Premium. I needed clarification on this point: if my internet connection fails, I’d like to still be able to use these programs without having to be online. Unfortunately, the salesperson didn’t know and was a little rebuffed that I didn’t purchase it then and there. “Office 365 Home enables you to install the latest full desktop version of Office applications, including Word, Excel, PowerPoint, OneNote and Outlook, on up to 5 PCs or Macs, in addition to 5 Windows tablets or iPads—so you can use all the features offline as well as online. You can also install Office on multiple smartphones for easy access”. Despite all the pros for Office 365, I opted for the Office 2013 Home and Business version. I figured I could buy Publisher separately, but because I use Adobe InDesign, it’s not high on my priority list. Also, I only use Office for Word (typing) and Outlook (emails) – and really, only needed one install of the program. It just made sense to me that I should buy it outright. … but if I ran a business and required versatility with computing for staff on the road and/or in an office: my choice would’ve been a no-brainer. Or if I had several home computers, which can occur, especially if you have a family with a few kids that need computers or laptops for school, assignments, etc. I would’ve chosen Office 365. Suffice to say, I am sure my technology needs will change sooner rather than later. At that point, I definitely wouldn’t rule out the Office 365 option – or whatever else Microsoft will have in the pipelines. For now, this decision was based on my needs. And yours will be too. So, if you are confused about what you need, please give Nortec IT a call on (02) 9894 9514. Our technical experts can give you the BEST benefit to cost ratio solutions to meet your requirements or click here for further information.